On Saturday, at the Howard University in Washington D.C, Nigerians made history. Of the 96 graduating Doctor of Pharmacy candidates, 43 of them were Nigerians and of the 27 awards given, 16 went to Nigerians. 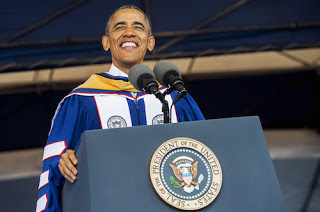 U.S. President Barack Obama delivered the keynote address at the event. It did not make headlines. For major news network, it also did not get any mention. 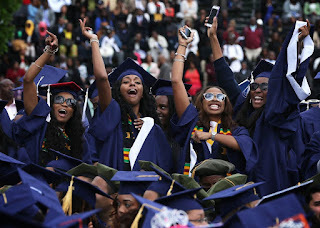 Even when major newspapers reported the event, what caught their attention was on what President Barack Obama said when he delivered the commencement lecture. But there was a major highlight that was ignored. A report said of the 96 graduating Doctor of Pharmacy candidates, 43 of them were Nigerians and of the 27 awards given, 16 went to Nigerians. 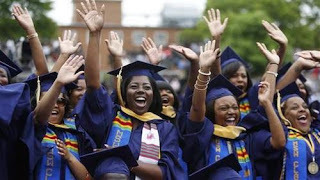 It awarded more than 1,300 bachelor’s degrees, more than 300 master’s degrees, and over 100 Ph.Ds. The top five areas of concentration were psychology, history, political science, social work and mathematics. Additionally, more than 400 students received professional degrees in law, medicine, pharmacy and dentistry. Speaking at the event, Obama emphasized that his election has not created a “post-racial society” despite improved race relations.